Do you want inspiration for a project? Want to learn more about KOMPAN? This catalogue is for inspirational purposes and the photos are from around the world. 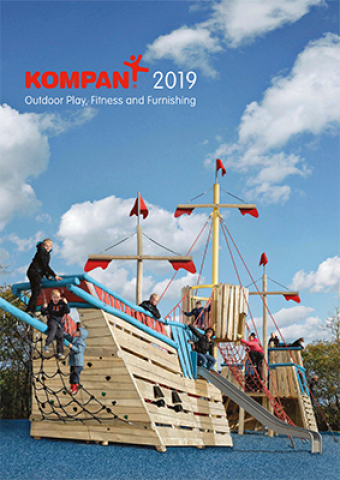 Play is a global activity, however as safety standards vary across the world, KOMPAN must respond to these differences by producing country specific assortments. KOMPAN has a vision to get an inactive world moving. Through product and concept development, KOMPAN have incorporated what is needed to overcome physical activity barriers, resulting in an intelligent 3 layer training solution. FROM WINDING WOODS - STRAIGHT TO PLAYGROUND FUN! Our new ORGANIC ROBINIA designs are inspired by the organic shapes of nature itself and all the uniqueness of the winding Robinia wood. Children develop at an extraordinary rate during the first years of life, and play is an essential part of this process. 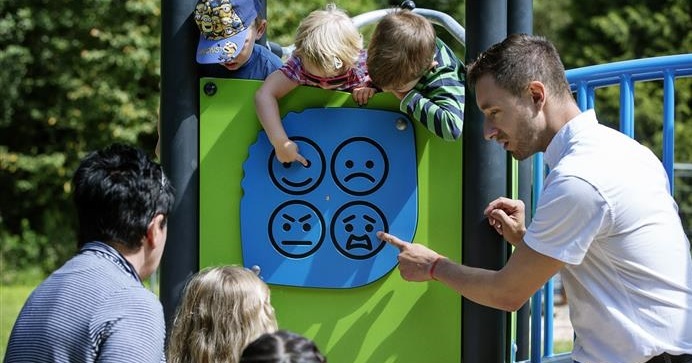 The SIMPLY Play assortment provides numerous play activities, covers all categories within play and offers everything you need to make a complete playground. With more than 40 years of experience from designing play solutions for all, we want to share our findings with you in our new Play For All: Universal Design for Inclusive Playgrounds publication.